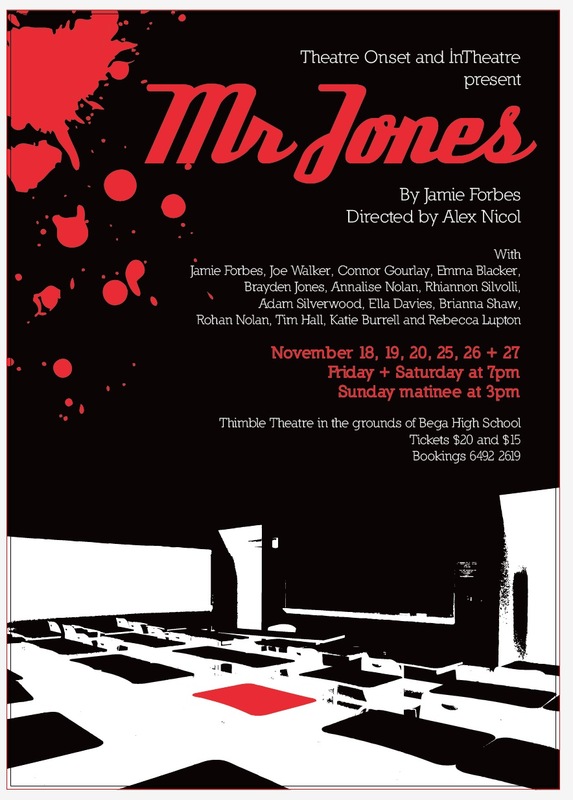 Mr Jones is now in the second week of performances…and true to form, we are now on our fifth Mrs Dwight. It may seem the role is cursed, but unlike the drummer in Spinal Tap, all our Mrs Dwights are alive and kicking. They just had…other things to do. And so we welcome Mahamati into the cast, along with alternates Maddy Stocker as Jenny and Annalise Nolan as Grof (or Grof 2, as she is affectionately known). Tickets can be bought at the door, but we are always cheered by knowing we have bookings, so if you would like to warm our hearts a little, please book on 02 6492 2619. There is an interval and refreshments will be available. The show starts at 7:00PM on Friday and Saturday and 3:00PM on Sunday. The running time is about an hour and a half.